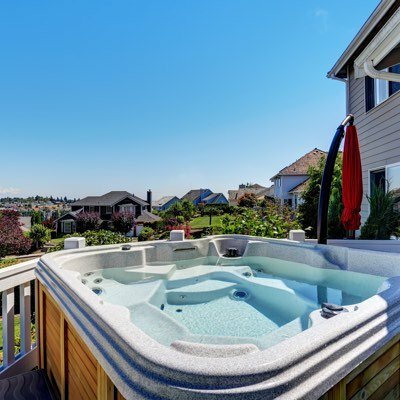 Ajax Pool & Spa Aspen - Jacuzzi Hot Tubs Dealer | Ajax Pool & Spa Inc.
Give us a call for an on-site inspection and estimate on your new unit. Ensure your spa or pool unit is running smoothly by calling our team. 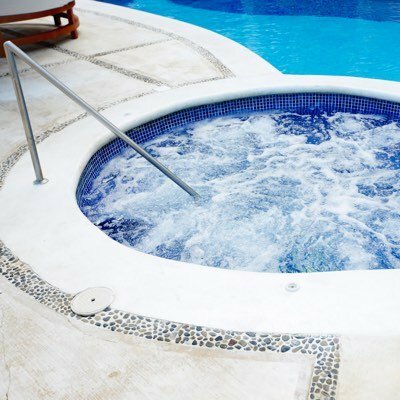 Trust all of your Jacuzzi, pool and spa repairs to our professionals. 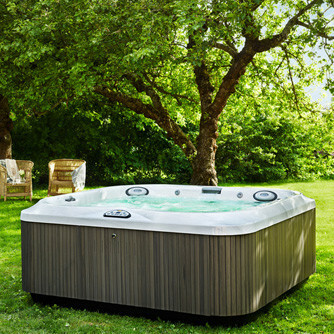 If you’re interested in a custom hot tub installation for your property, turn to our team at Ajax Pool & Spa for more information today. 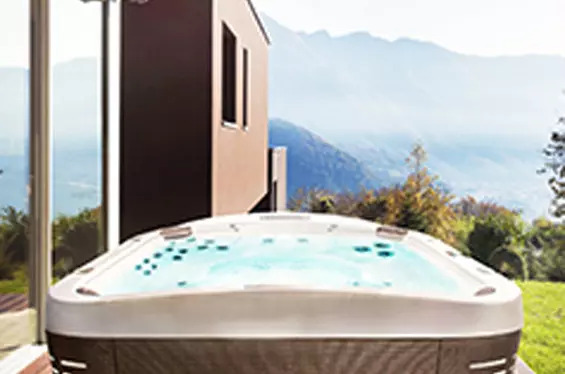 As one of the most well-known and trusted brands in the hot tub industry, Jacuzzi® offers sleek, modern and top-quality units fit for any and all types of home decor. 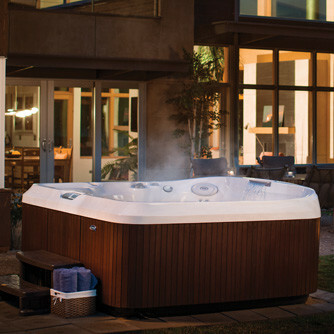 Get in touch with our installation and design professionals to discuss your next Jacuzzi® installation service today. Whirlpool is considered to be one of the most trusted brands for many American households, as they offer high-quality products that help improve the look and value of all home designs. 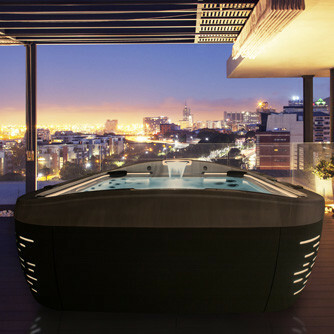 If you’re interested in purchasing a Whirlpool spa for your property, turn to our team today. Looking for some design inspiration before you schedule a new spa or pool installation from our team? Take a look at some of our previous installation projects to get a better idea of what we can provide. Learn more about our team’s history and experience within the pool and spa industry to get a better idea of what we can do for your property. With over 20 years of experience of providing top-quality pool and spa products and installations, you can trust our team to give you the best results for your needs. How do our consumers feel about us? Let’s just say that Ajax Pool & Spa has been the recipient of 13 Jacuzzi® International Design Awards for seven years in a row. Our team takes great pride in providing high-quality installations for all of our customers. We are proud to be leaders in quality in performance for a beautiful result. Get in touch with our pool and spa professionals at Ajax Pool & Spa to learn more about what our experienced installation experts can provide for you. 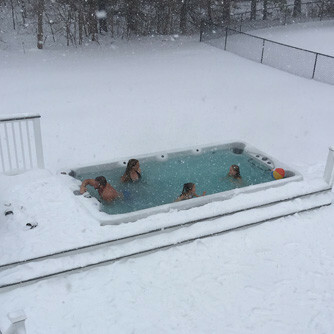 Ajax Pool & Spa is your local one stop shop for your outdoor living lifestyle. We have all the items you need to trick out your backyard. From Jacuzzi® Hot Tubs to BBQ Grills, Outdoor Kitchen Design/Install, Fire Pits and Tables, Gazebos, Massage Chairs, Patio Furniture and all the accessories to go with them. We offer Darlee®, Summer Classics®, Gloster®, Big Green Egg®, Homecrest®, Beefeater®, Saber Grills, California Outdoor Concepts, Firegear®, Infinity, and Blue Rhino to name a few. For more info visit our Outdoor Living site HERE. 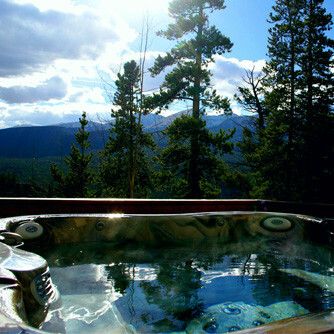 We are the roaring fork valley’s leading local pool & hot tub repair & maintenance service company. 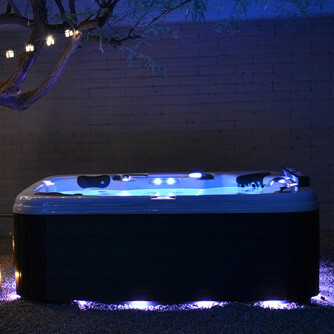 We repair and service residential and commercial pools and hot tubs of all makes and models. Hot Spring®, Sundance Spas®, Hot Spot®, Tiger River®, Caldera®, Endless Pool®, Cal Spa®, Diamond Spas, Dimension One just to name a few. With over 25 years of serving customers from Aspen to Carbondale to Glenwood Springs to Rifle. We continue to be one of the leading locals choice for pool and hot tub sales, service & repairs. Furthermore, we have the largest selection of parts in the valley. As well as all the supplies and accessories you need for your pool or spa. From chemicals to cleaning supplies, pool toys, pool covers, hot tub covers, BBQ accessories, charcoal, umbrellas, patio furniture and more. Check out our services under About Us at the top of the page for more info. 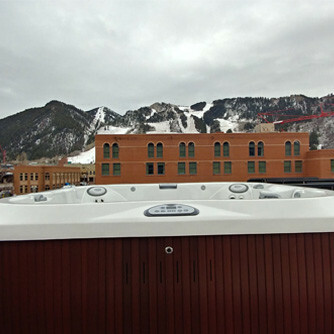 We are the roaring fork valley’s only authorized Jacuzzi® Hot Tubs Dealer. We serve Aspen, Snowmass, Basalt, Woody Creek, El Jebel, Carbondale, Glenwood Springs, Redstone, New Castle, Silt, Rifle and Parachute. 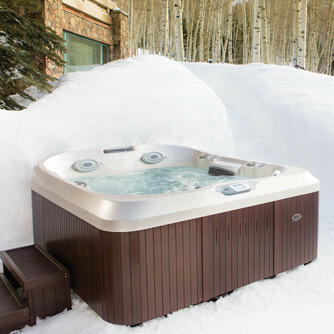 Come on down and see “Jacuzzi Julie” and see our 5,000 sqft showroom full of Jacuzzi® Spas. Jacuzzi® Because anything else is just a hot tub. The original inventor of hydrotherapy and still the leading innovator. 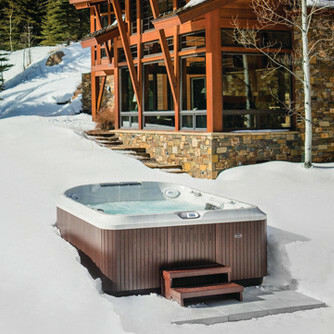 Did you know Ajax Pool & Spa has won 13 Jacuzzi® International Design Awards? In a row… Yes you read that right. 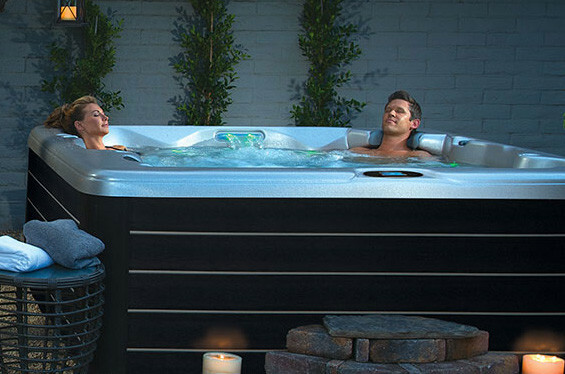 Out of all Jacuzzi® Hot Tub Dealers in the world, Ajax Pool & Spa has won 7 years in a row! Some years we took 1st and 2nd place! Judged by consumers and by other Jacuzzi® dealers! Julie Phelps aka “Jacuzzi Julie” and Patrick Phelps, owners of Ajax Pool & Spa are definitely, custom hot tub installation professionals. Furthermore, Julie was honored with teaching a class on custom spa installations and site visits at the International Pool Spa Patio Expo in Orlando. She also has been featured on the cover of Aqua Magazine November 2014, and again on the September 2017 Edition. Julie is cited as one of the leading experts on custom spa installations in the world. As a result, we will ensure your custom install vision is realized. 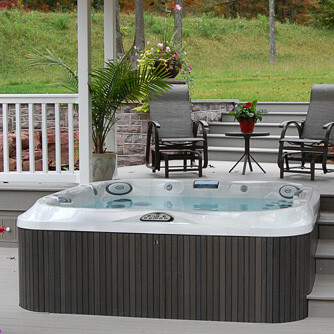 So you can be confident when choosing us for your custom spa or hot tub purchase. If you have an experience you would like to share about Ajax Pool & Spa please do so here.